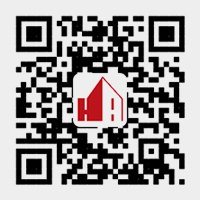 Hone Architectural Design and Research Institute was established in 2016, presided over the architect Mr. Zhu Honglin. In 2002, we won the design right of the facade of the Wangfujing Building in Beijing. When the project was completed, it not only integrated with the old department store, but also the newly-built clock tower became the landmark of the Wangfujing area. Built in 2003, Beijing Normal University Zhuhai Campus Teaching Building became a pioneer in the south of Beijing Normal University. The strong sense of sculpture in the building reflects the profound heritage of this famous university. The same year, China International Science and Technology Exhibition Center has become a unique landscape of the North Third Ring Road, and won the Beijing's excellent engineering design award. In 2007 won the National Rehabilitation Aids Research Center Design Competition, after the completion of the construction of the Yizhuang Development Zone landmark. The HAD team led by Mr. Zhu Honglin has been involved in the design of many projects. The types of works are covered by complex, office, business, hotel, education, medical, cultural, recreational, residential, logistics, industrial parks, old buildings renovation, interior design. The design works have been highly satisfied with the customers and made a good social response.